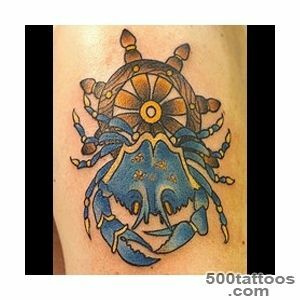 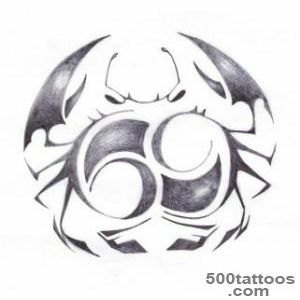 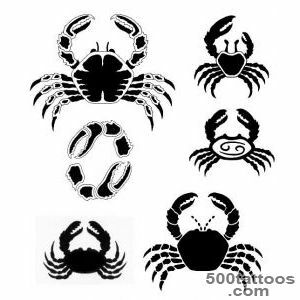 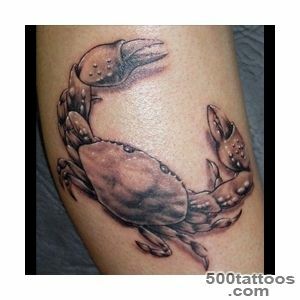 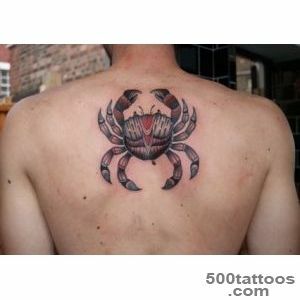 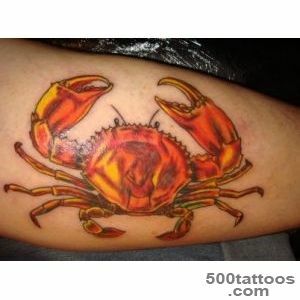 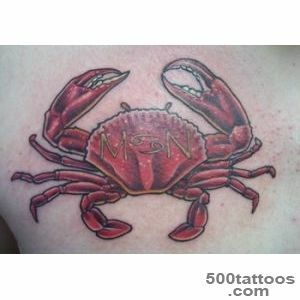 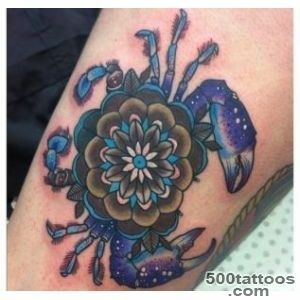 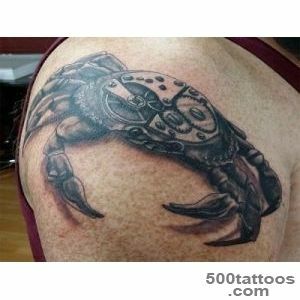 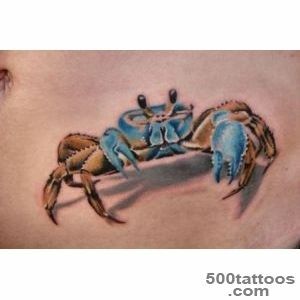 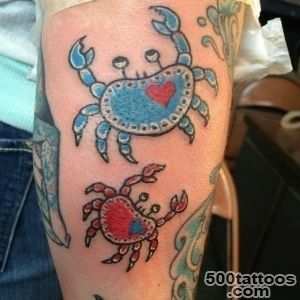 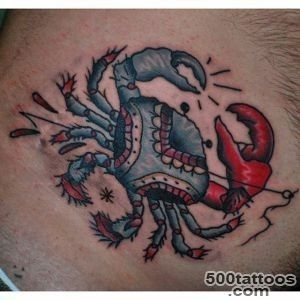 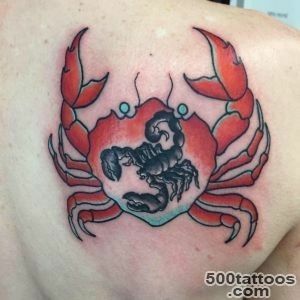 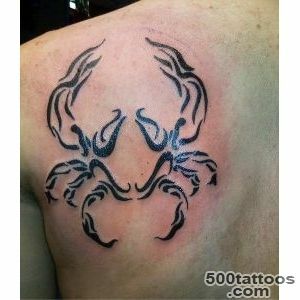 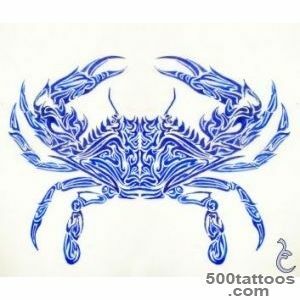 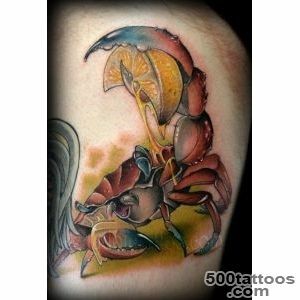 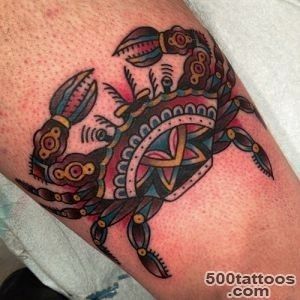 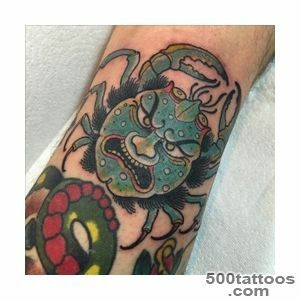 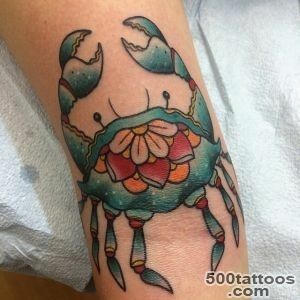 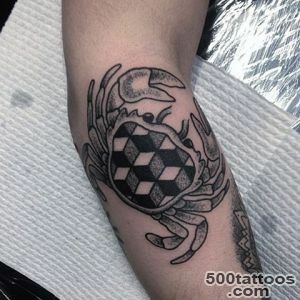 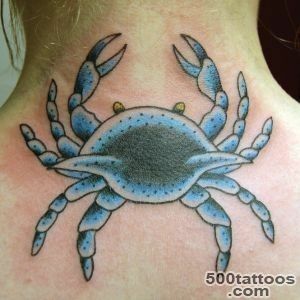 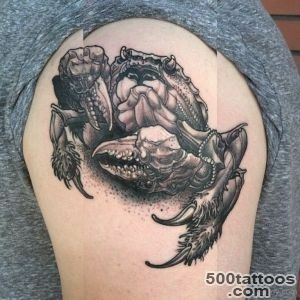 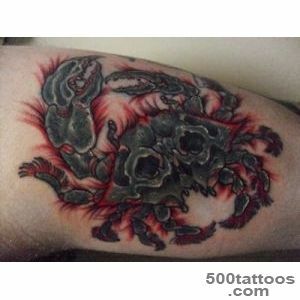 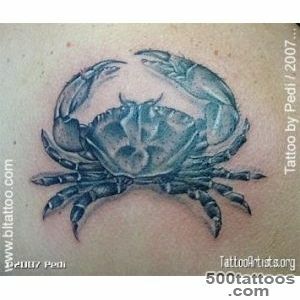 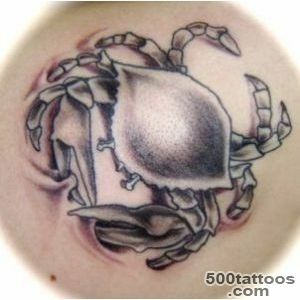 In astrology, the constellation Cancer the Crab means, so it can cause people born under this zodiac sign. 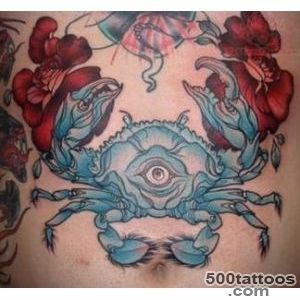 In general, the Crab symbolizes the element of water, is a sign of the Moon, which is responsible for the ebb and flow of water. 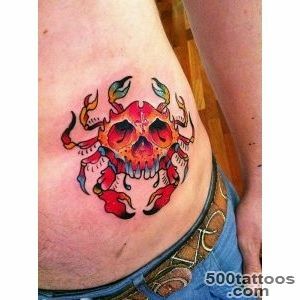 The peoples of the East Crab contacted with sea deities who gave help and support to people Crab spoke protector,thanks to its sturdy shell. 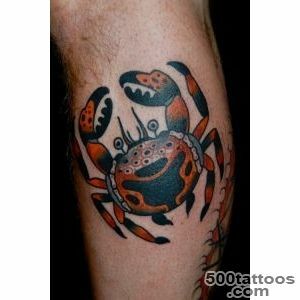 However, due to the specifics of crab movement, it can mean indecision and difficulty in making decisions. 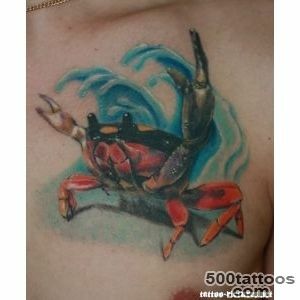 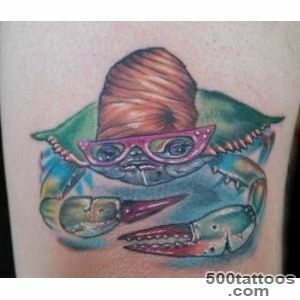 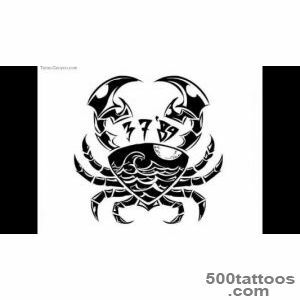 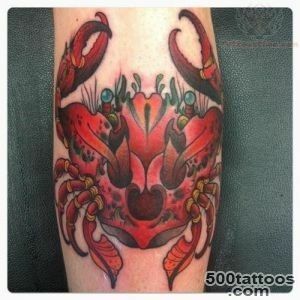 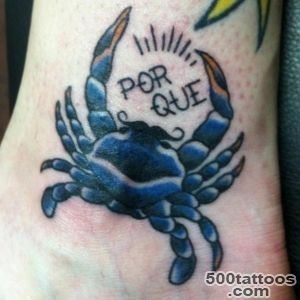 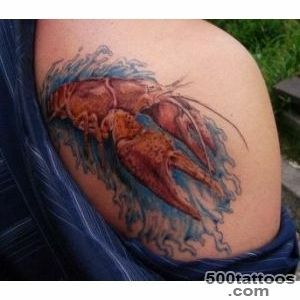 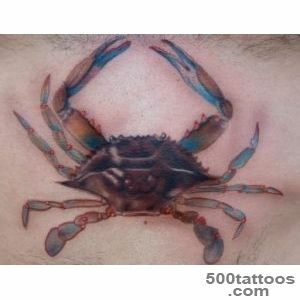 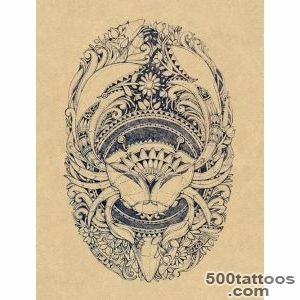 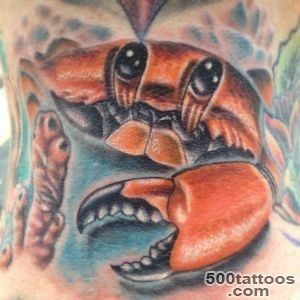 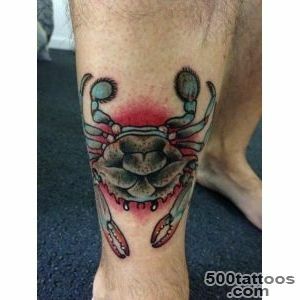 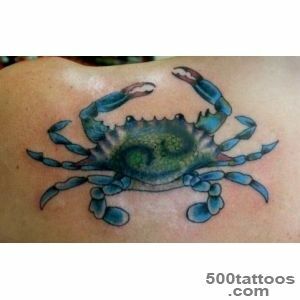 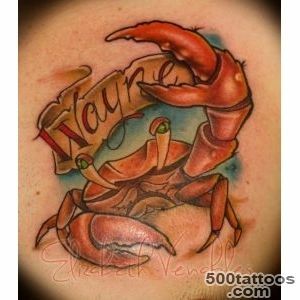 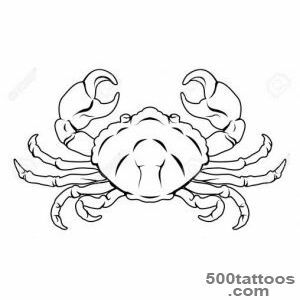 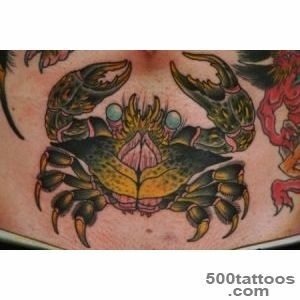 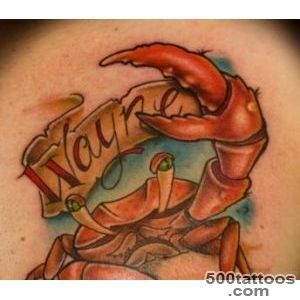 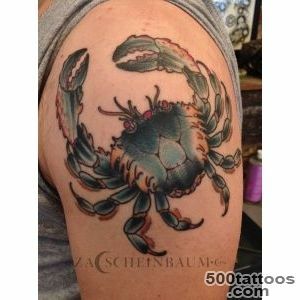 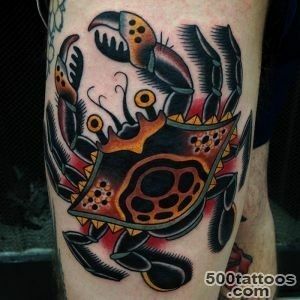 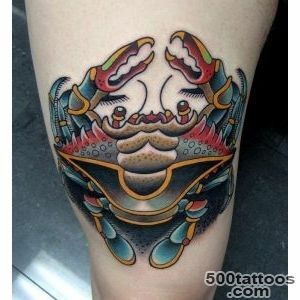 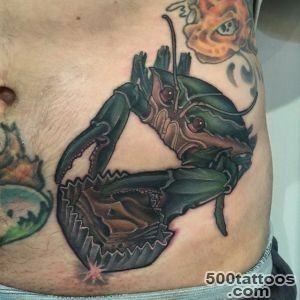 And if you portray Crab with raised claws, the meaning of the tattoo may change to a warning - do not touch me, and I will not hurt you ! 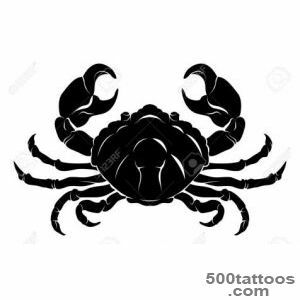 Especially obvious threat will be read,If the crab claws will not only be raised, but also disclosed.